Spode House Moorings are situated on the Trent & Mersey Canal approximately 12 miles south east of Stafford. The site provides customers with a good base from which to explore the Four Counties Ring. The mooring site is just over 600 metres long and provides space for up to 27 vessels moored against the off-side bank. To reach the site from the direction of Rugeley, take the A513 to the traffic island that links the A51 Lichfield Road. Continue straight along the A513 Rugeley Road before taking the first right opposite The Ash Tree pub. The access road to the moorings is then 150 metres on the left. There is a water point on site which is shared with other boaters. 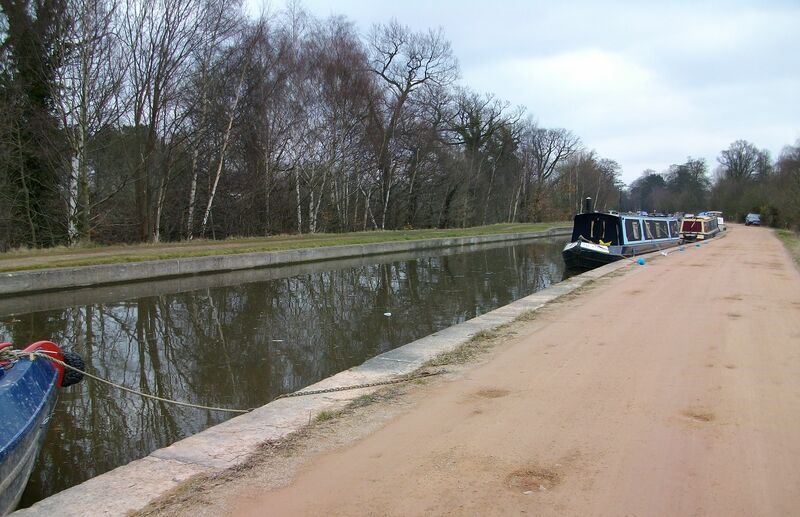 The nearest facilities, including rubbish disposal, showers, toilets, elsan and pump-out, are six and a half miles east of the site at Fradley Junction. Car parking is not available at this site, however, a vehicle track runs alongside the moorings providing access by car. A selection of pubs are close to the site and a golf club is adjacent. Rugeley town, approximately 1.5 miles away has a post office, shops and banks.